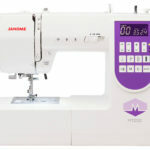 Today we received an announcement from Janome declaring the arrival of a new rolling case for sewing machines. This sturdy “Roller Case“ as they call it, is big enough for all Janome machines except the MB-4. The dimensions are 20 inches long by 9 inches wide by 15.5 inches high. 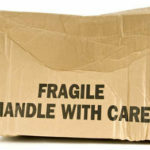 When the handle is pulled up the Roller Case measures 36 inches in height. 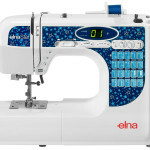 The Roller Case obviously has a lot of room to spare if you have a smaller sewing machine, but for those of you with bigger Janome sewing machines like the Horizon 7700QCP, Memory Craft 6600P, or Memory Craft 6500P, this new Roller Case is just what you need. 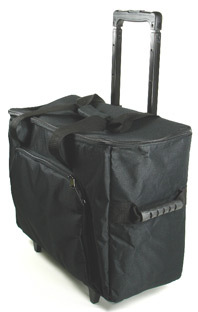 The stylish Roller Case is the perfect accessory for transporting your Janome sewing machine to classes and meetings. The front pocket accommodates scissors, thread, and other notions. Durable wheels and side handles allow for easy maneuverability. 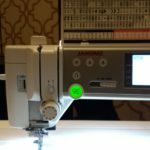 Because Janome did not embroider or otherwise mark the new Roller Case with their logo, if you own a different brand of sewing machine, you don’t have to feel embarrassed when you roll up to your next sewing or quilting class with the Janome Roller Case. The price of the Roller Case is very reasonable as well. 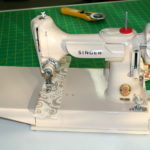 Come in to Temecula Valley Sewing Center and order yours today! 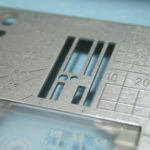 Please note: The Roller Case is very similar to the one which was developed for the Janome Horizon 7700QCP, but is not the same case. 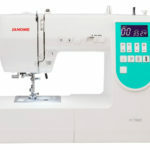 I am interested in a carrying case for my Janome Horizon and also a cabinet that the Horizon would fit in. Please send me information on both. How much is it and how do you order one? Doris, you'll need to call the shop if you want to get a price and order one. (951) 694-9576.